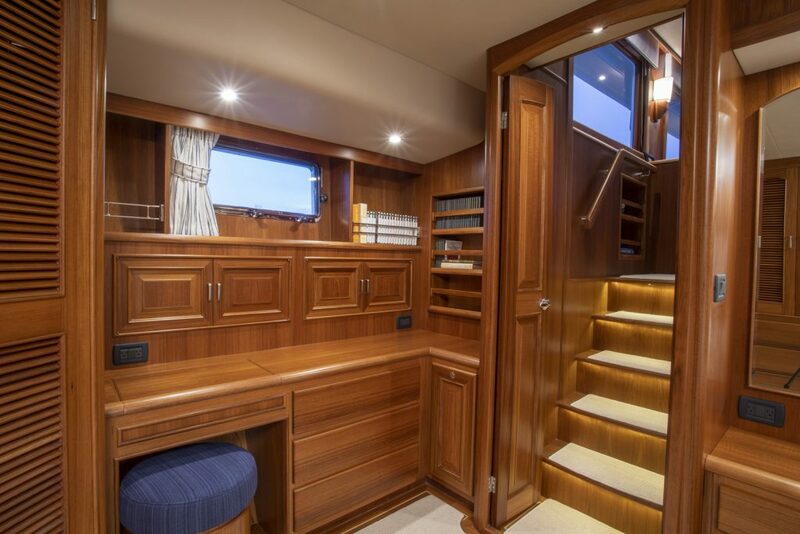 Described as “…virtually fault free, eerily quiet, exceptionally engineered and boasting amazing attention to detail,” by Motorboat & Yachting, the Fleming 78 stays true to the Fleming lines and style, while managing to push the mold. 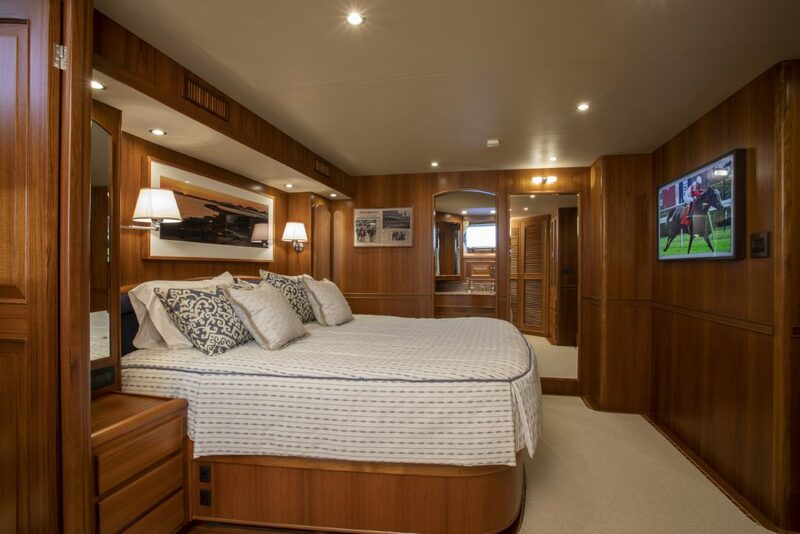 Originally introduced in 2000 as the Fleming 75, she has since been revised and redesigned to include a longer hull and keel, and optional bulbous bow, significantly increasing fuel efficiency which now has an impressive range of 2,000 nautical miles at 10 knots. 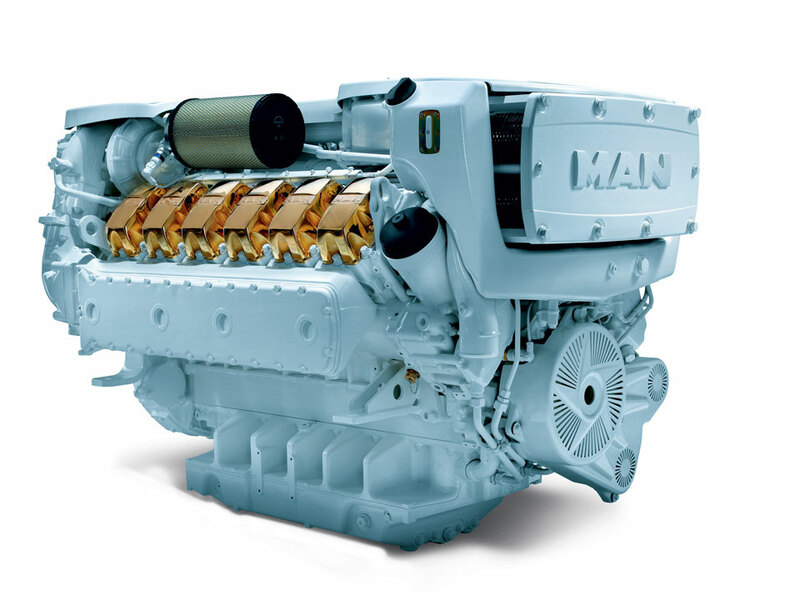 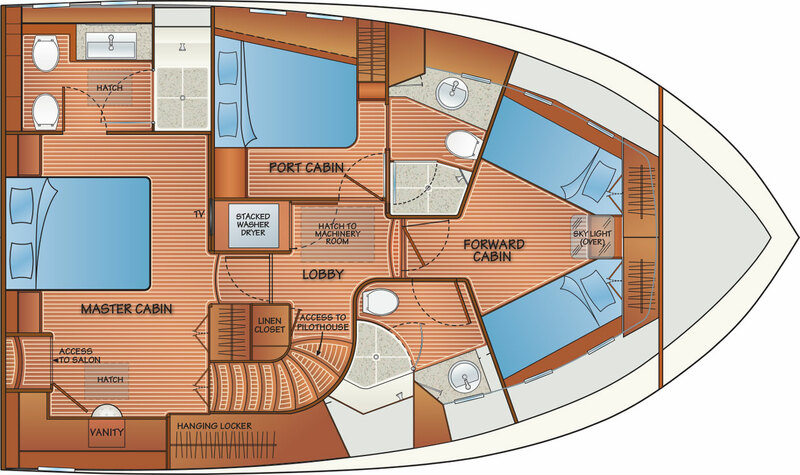 The same engineering philosophies used in the development of the Fleming 55 have been applied to the design of the 78, only on a grander scale. 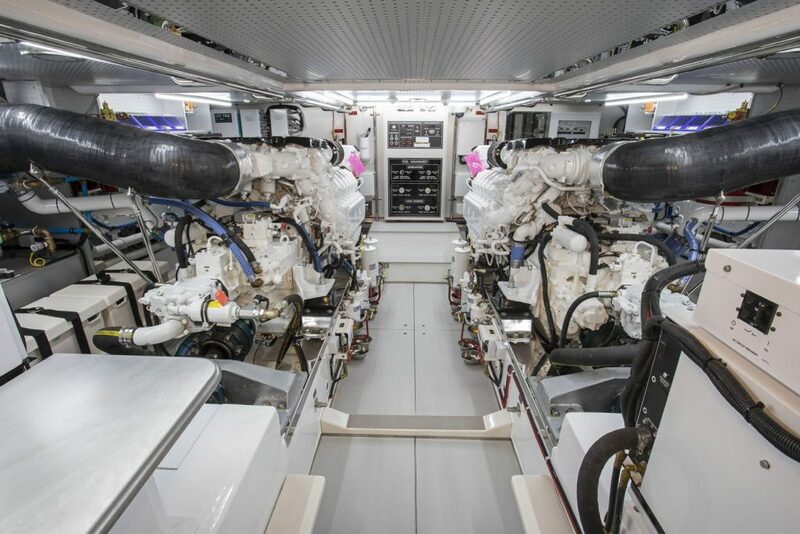 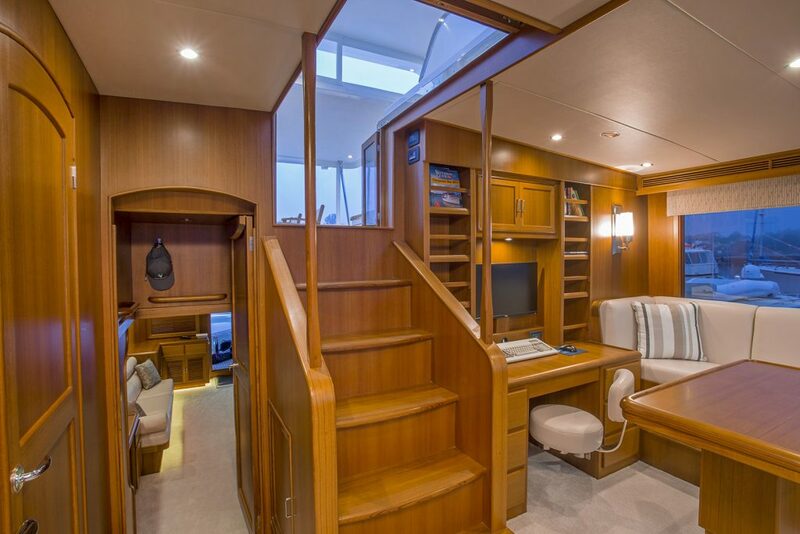 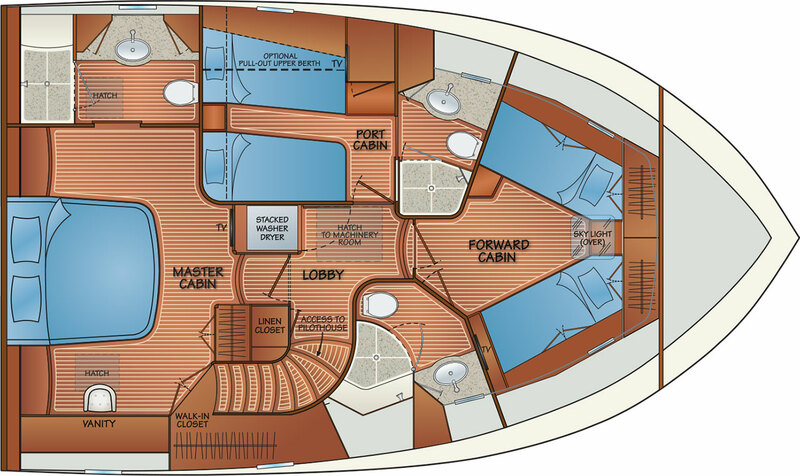 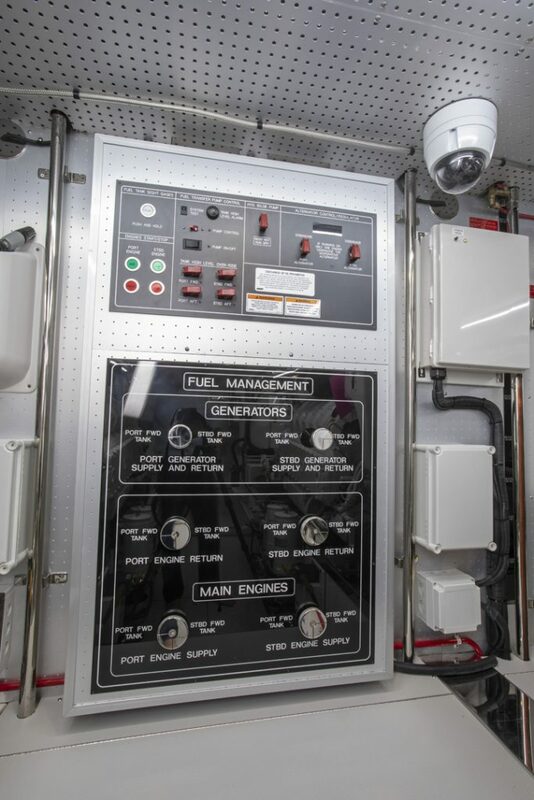 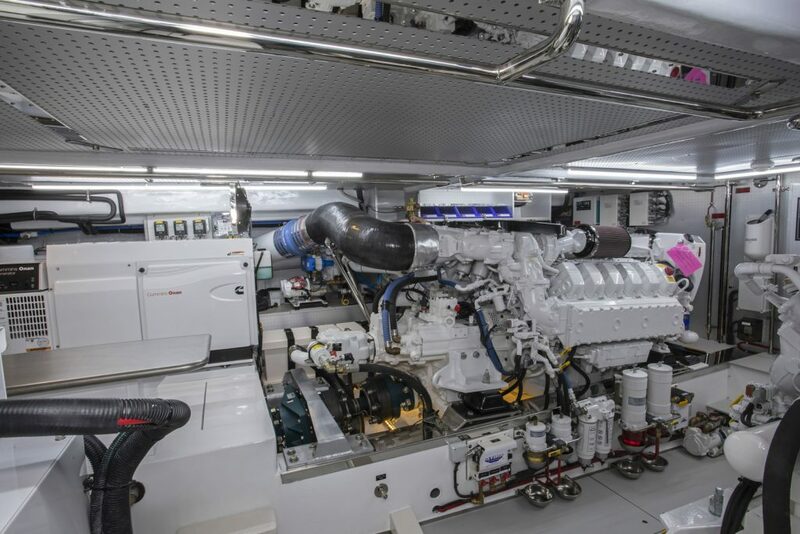 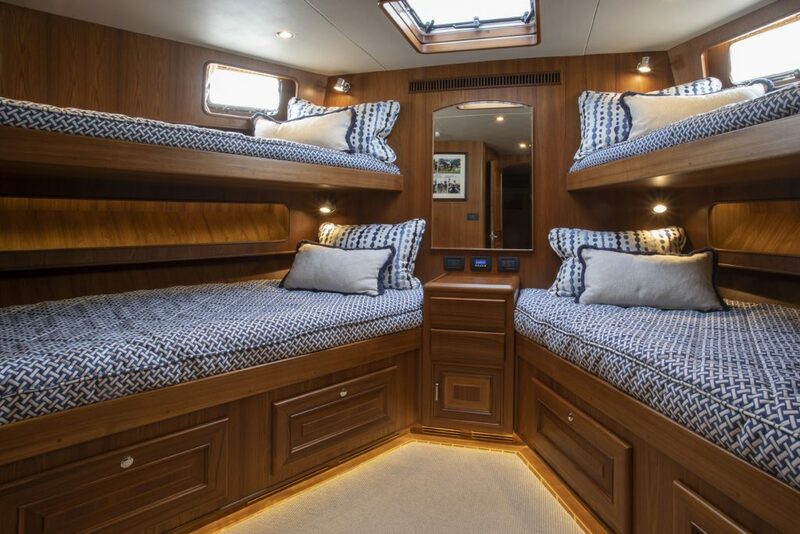 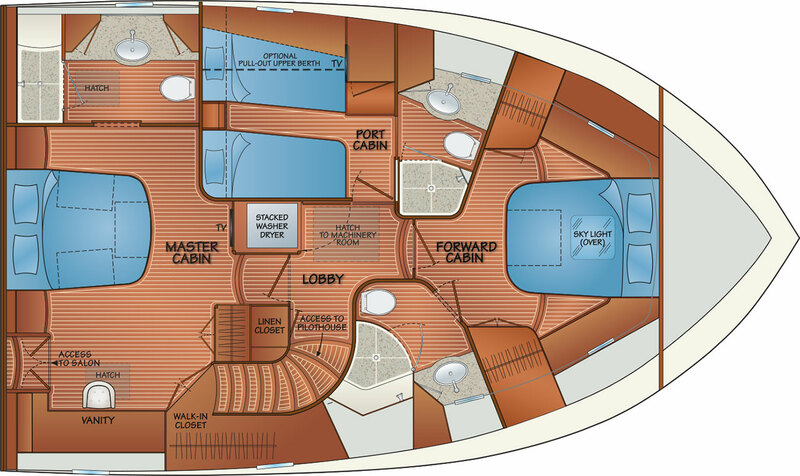 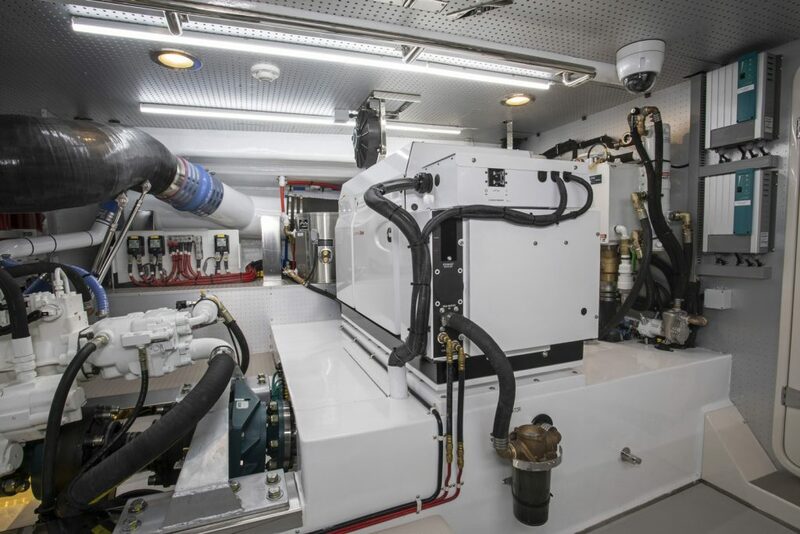 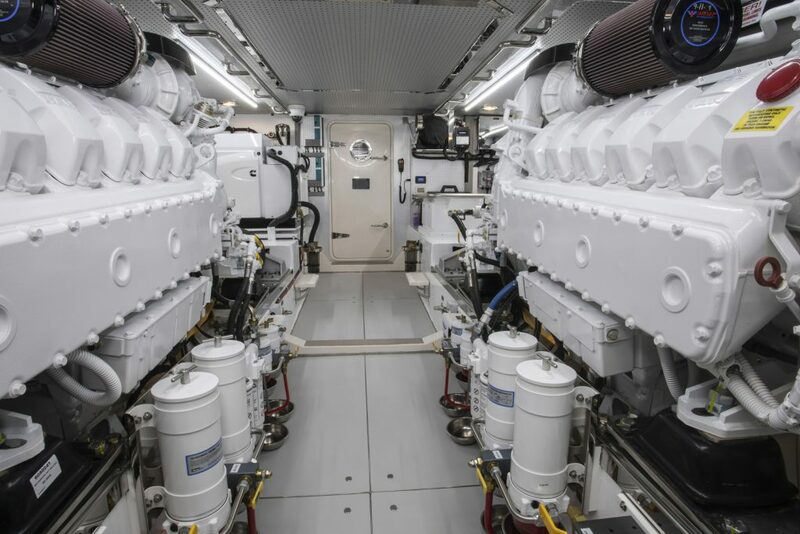 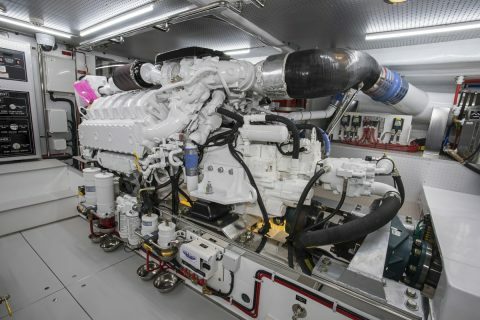 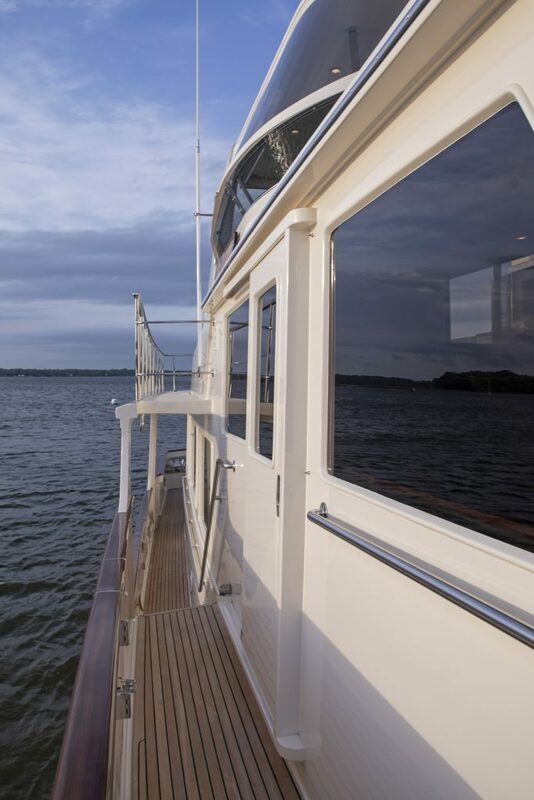 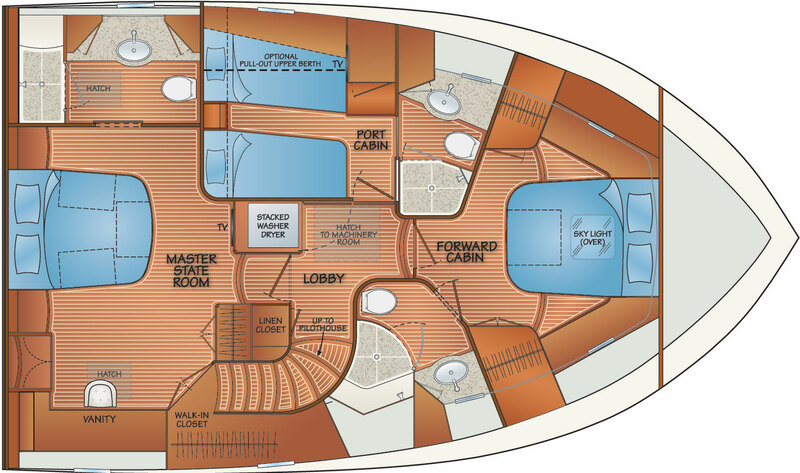 In addition to her extended cruising range, larger living space and separate crew quarters distinguish the Fleming 78 from her smaller siblings. 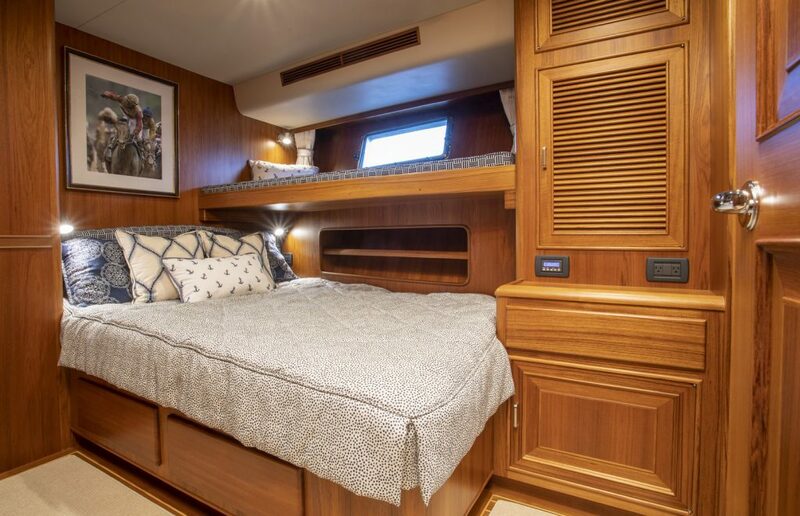 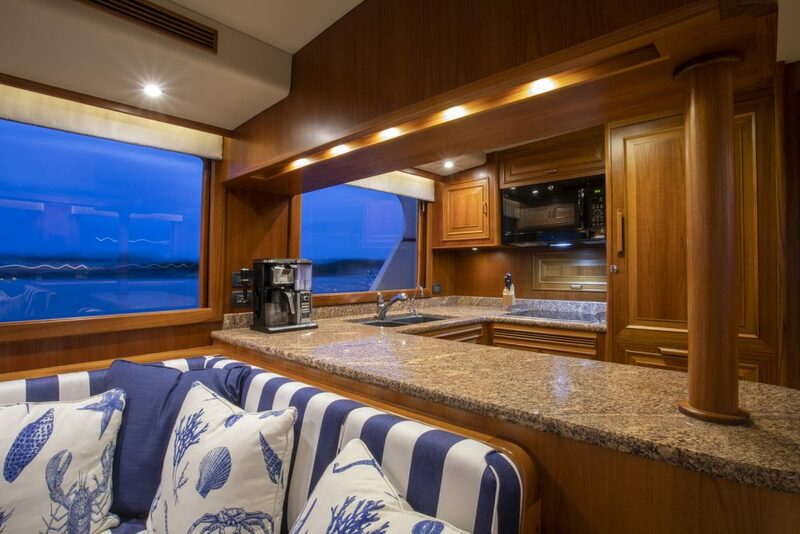 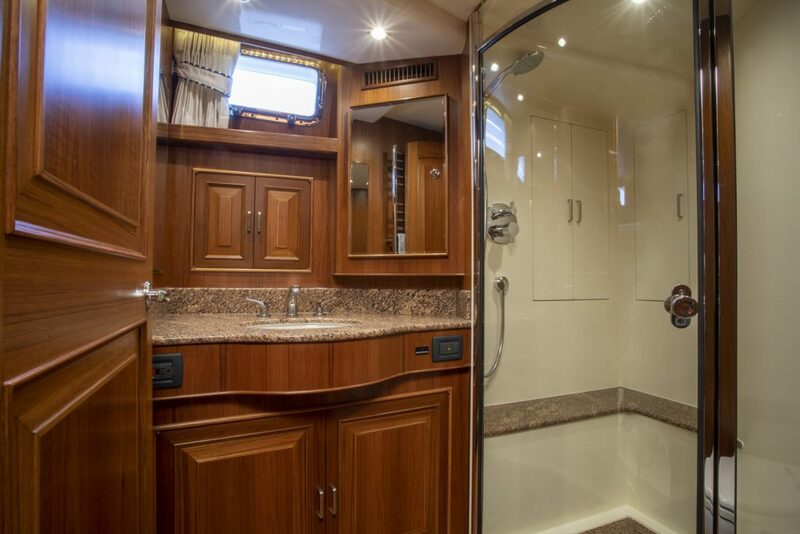 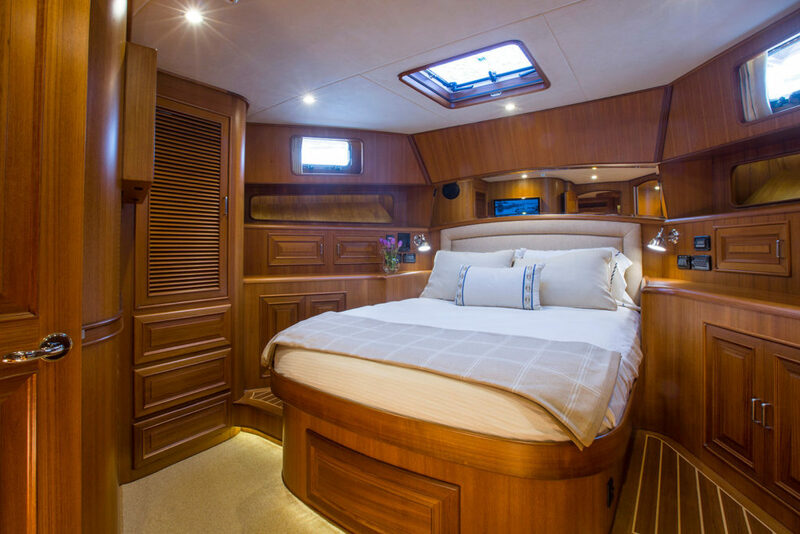 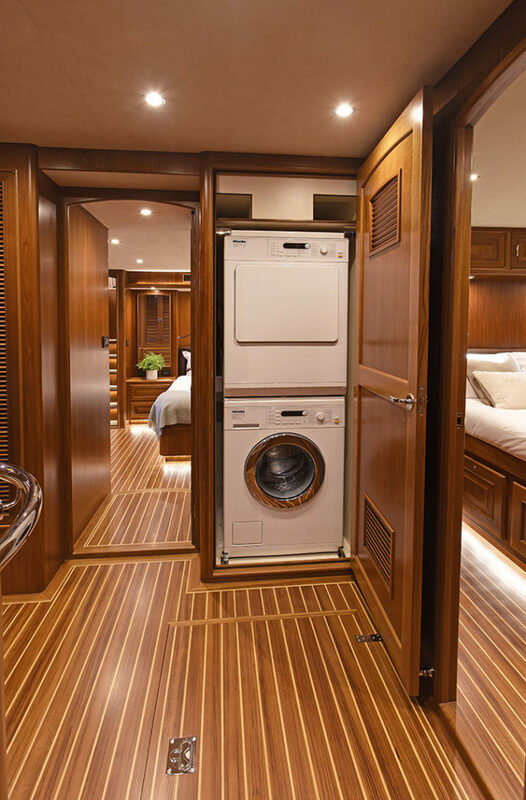 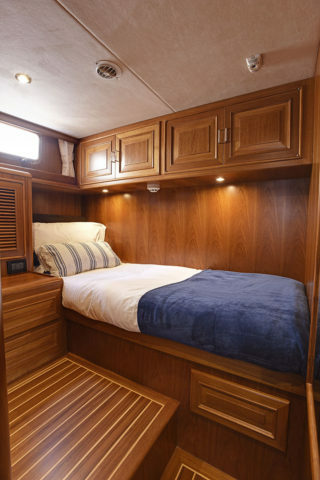 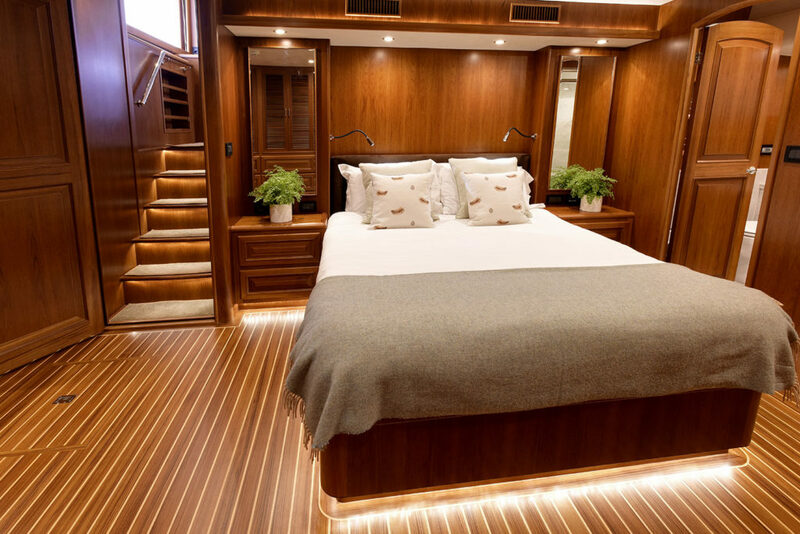 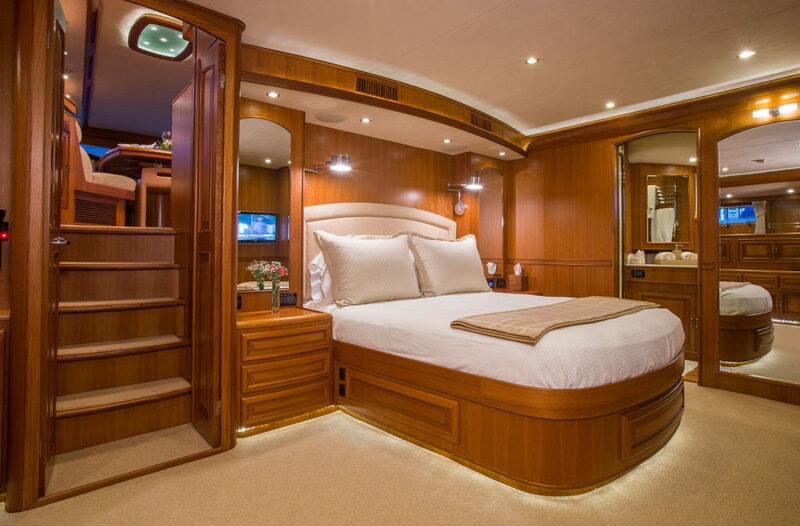 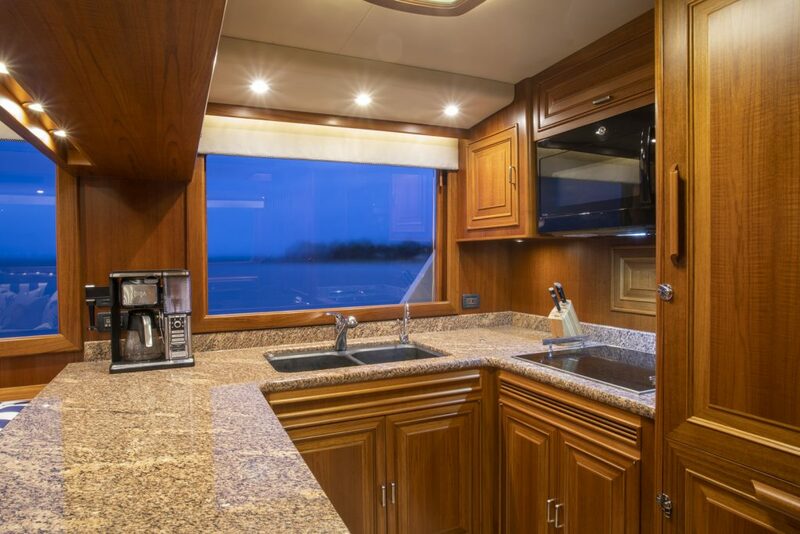 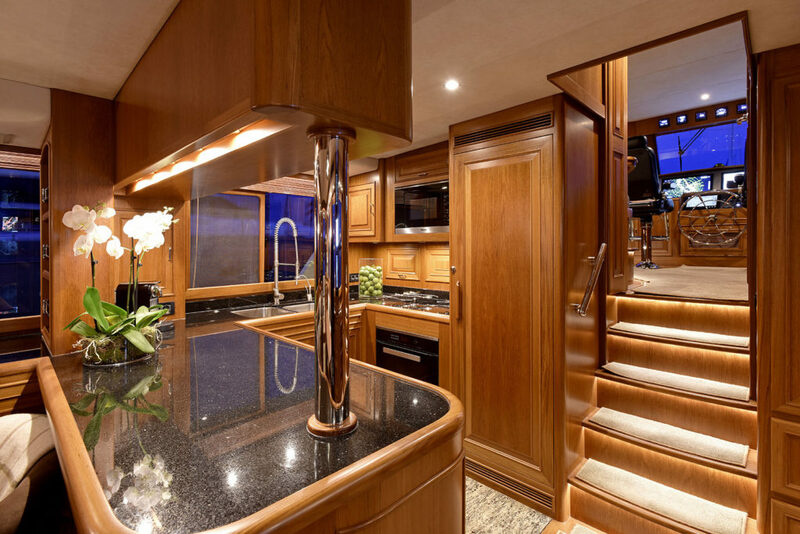 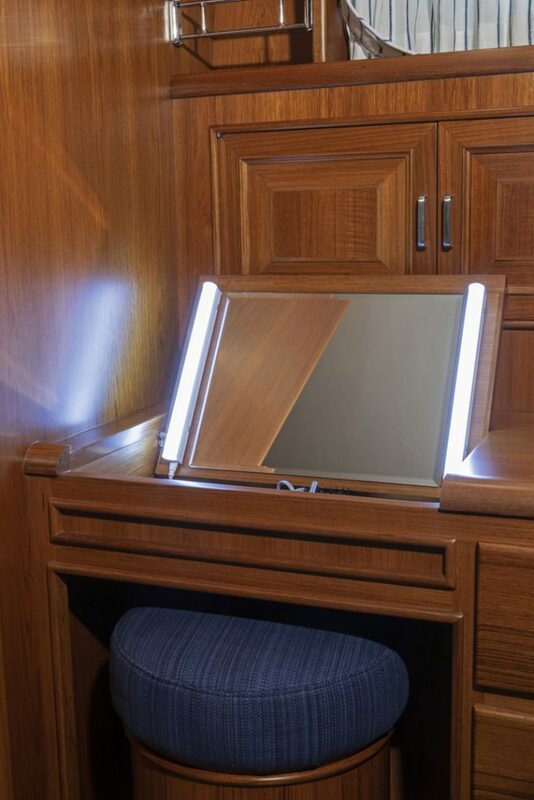 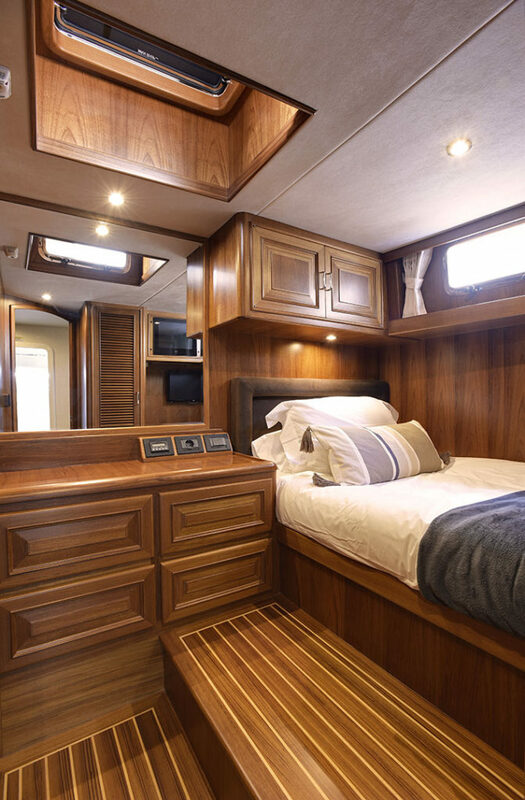 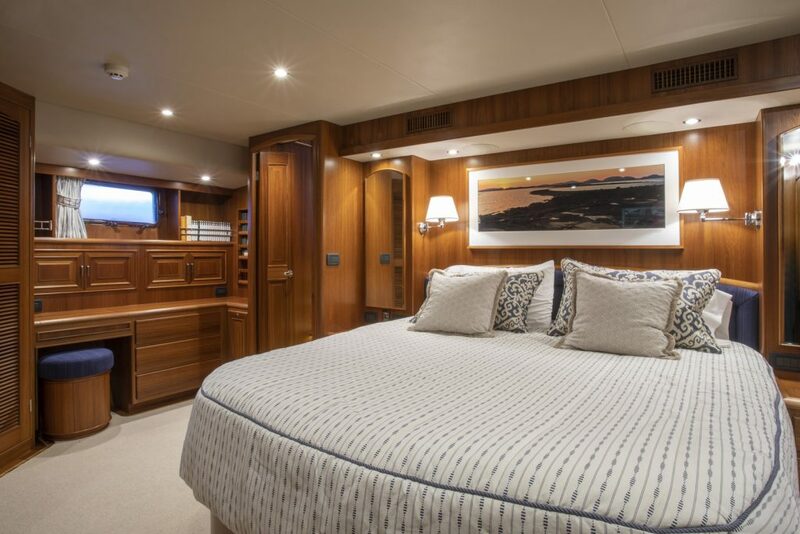 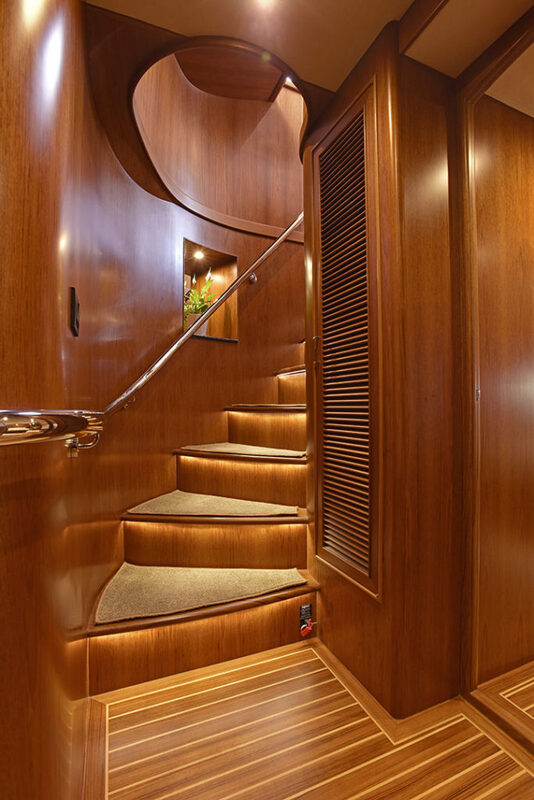 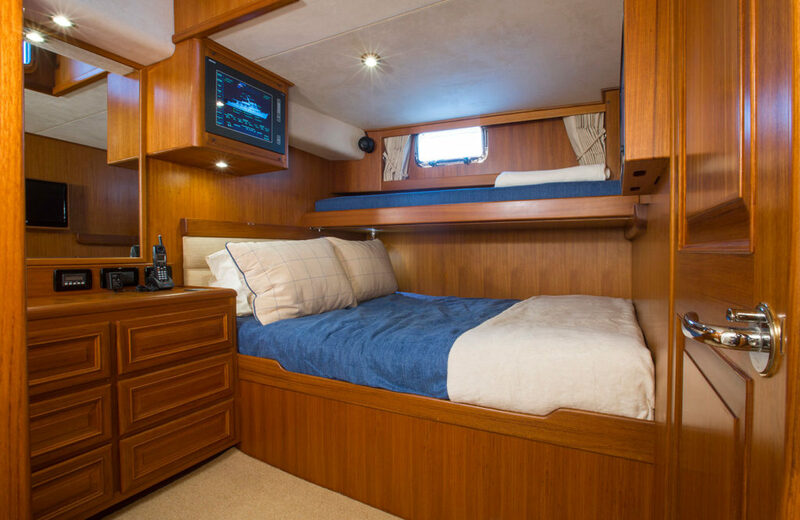 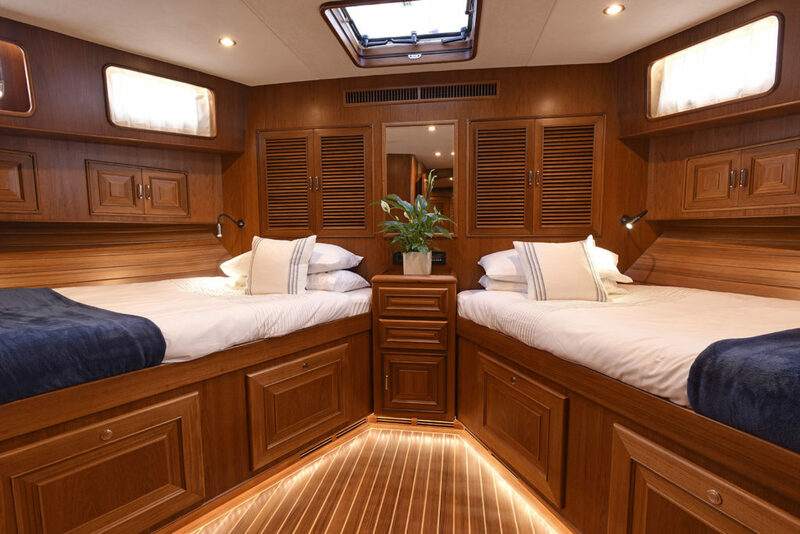 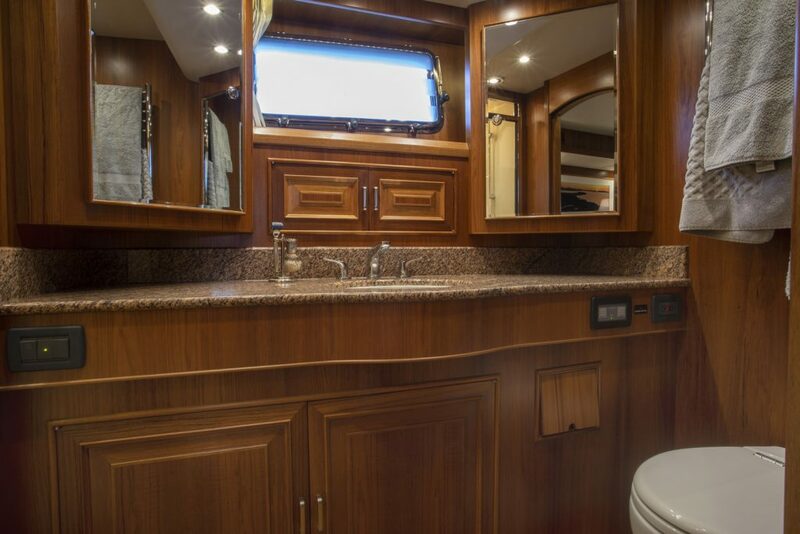 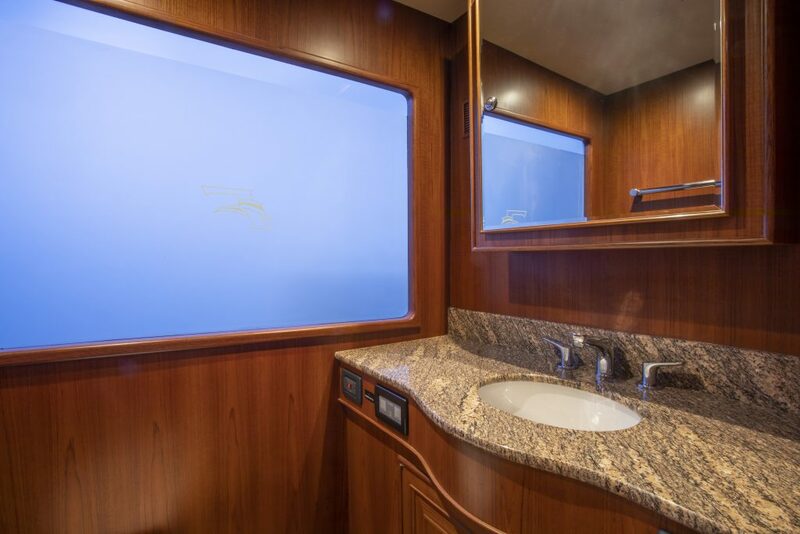 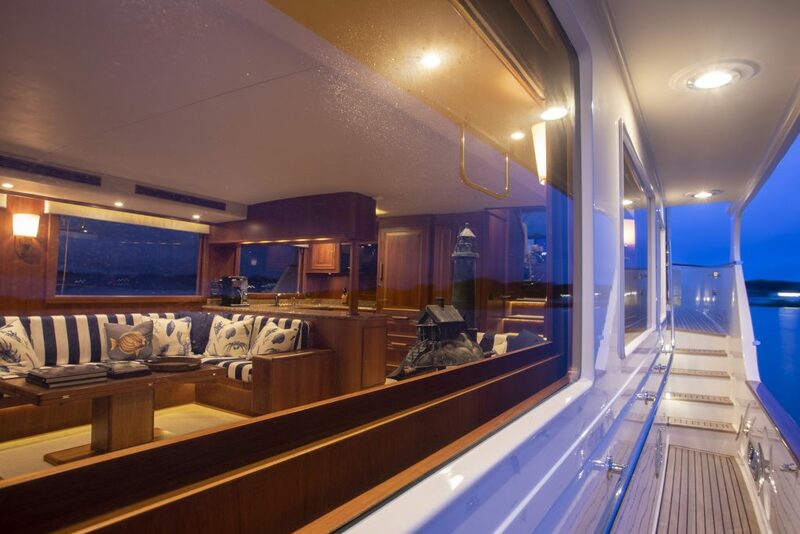 With a 21’ 5” beam, the Fleming 78 accommodates three en-suite staterooms, a salon with a dedicated dining area as well as a comfortable living area, and a galley which could easily rival that found in many homes. 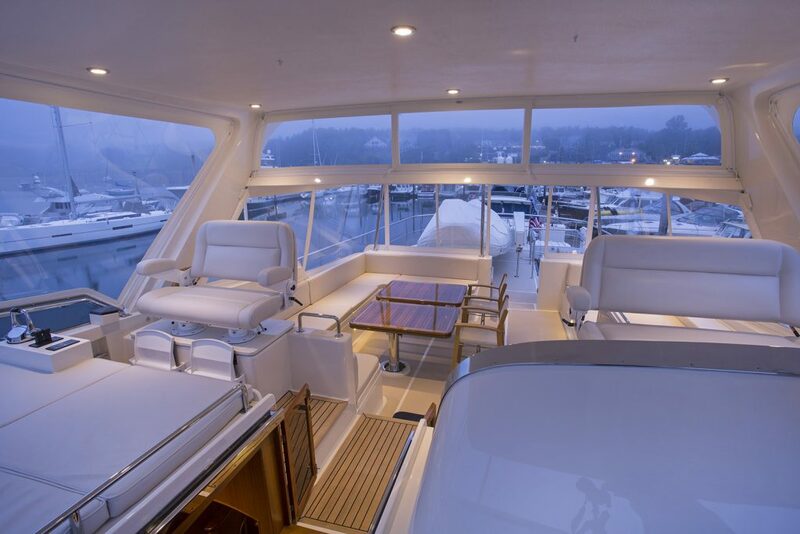 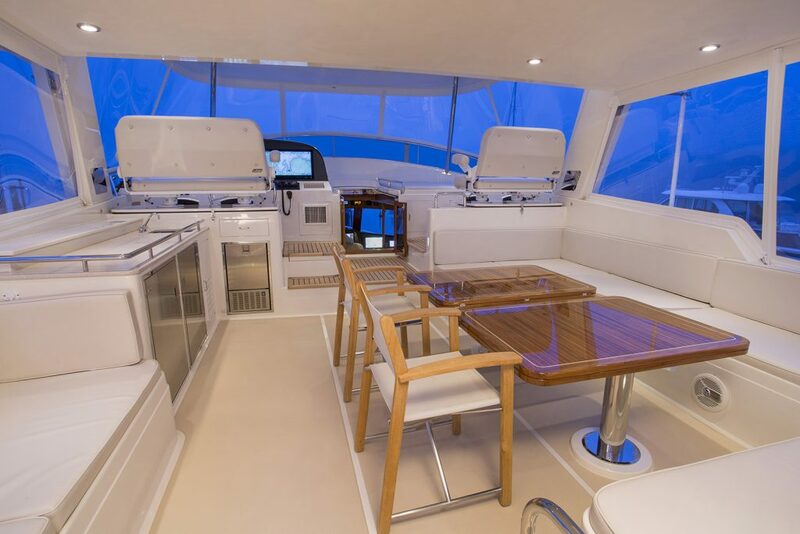 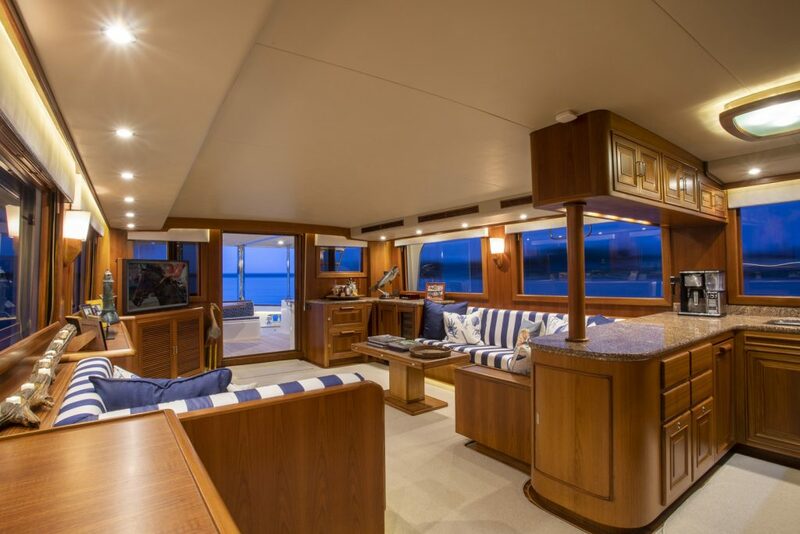 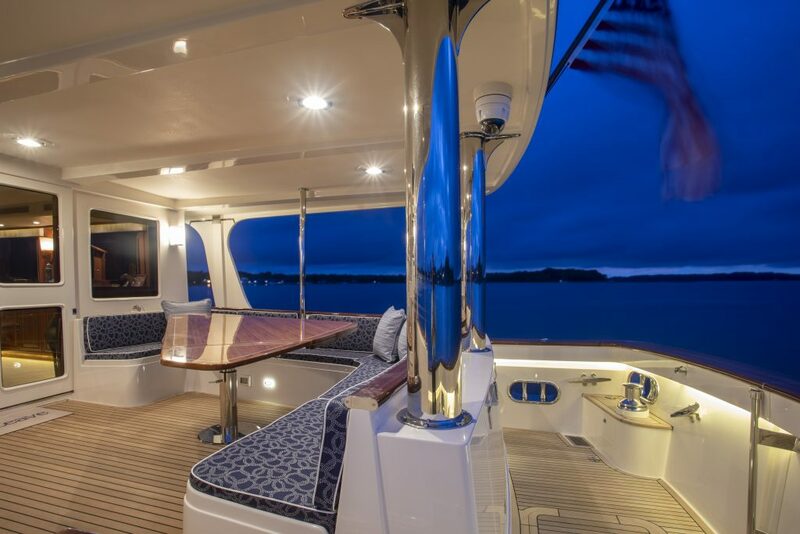 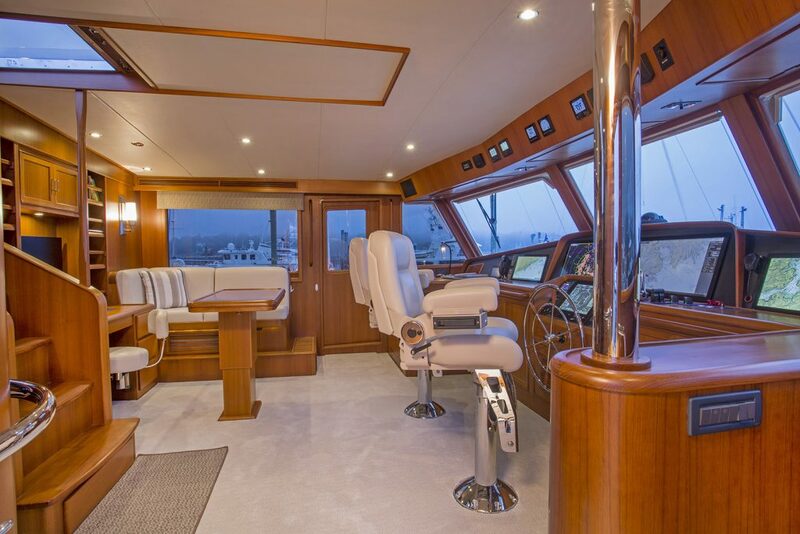 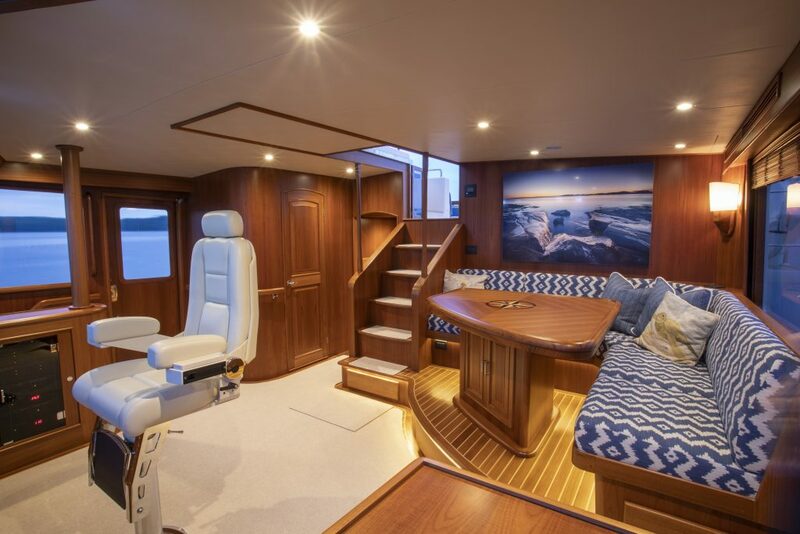 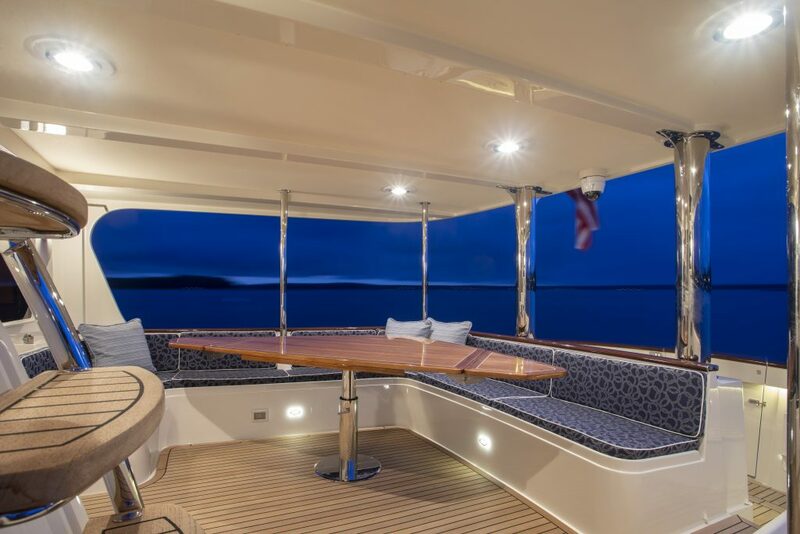 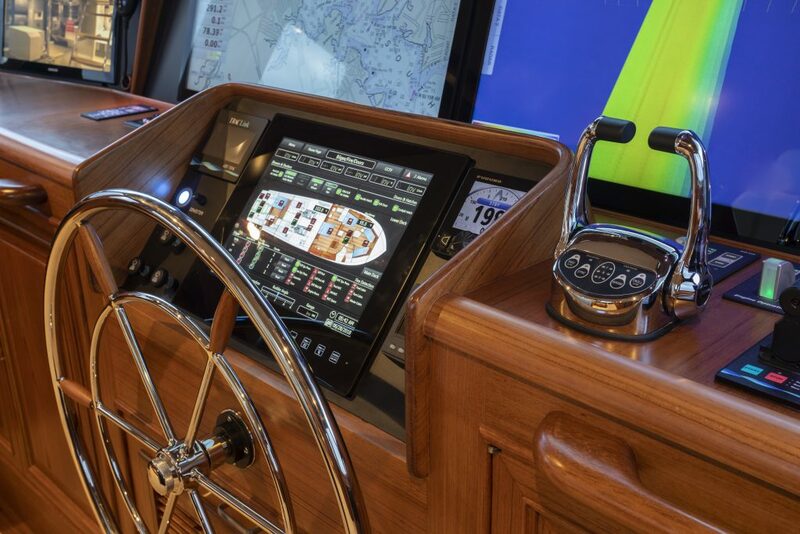 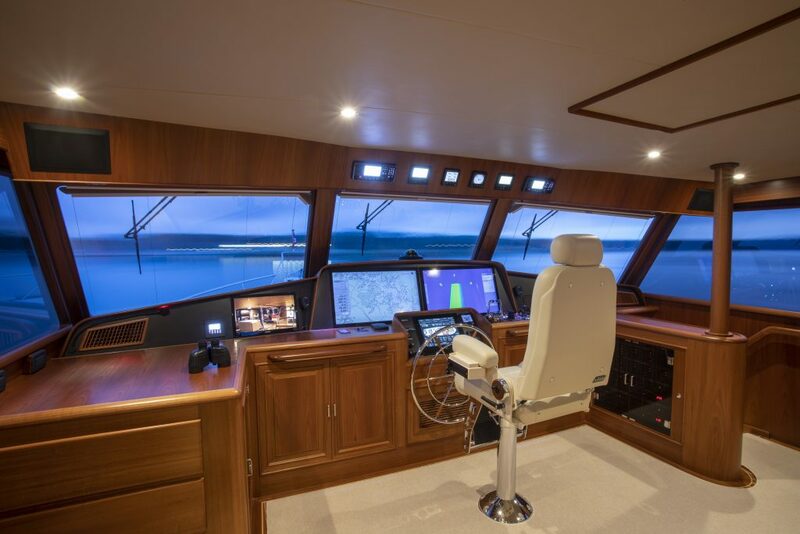 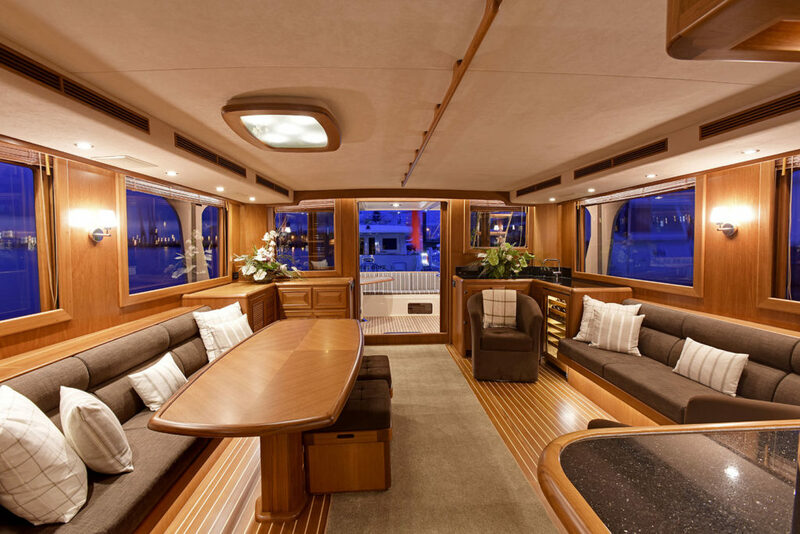 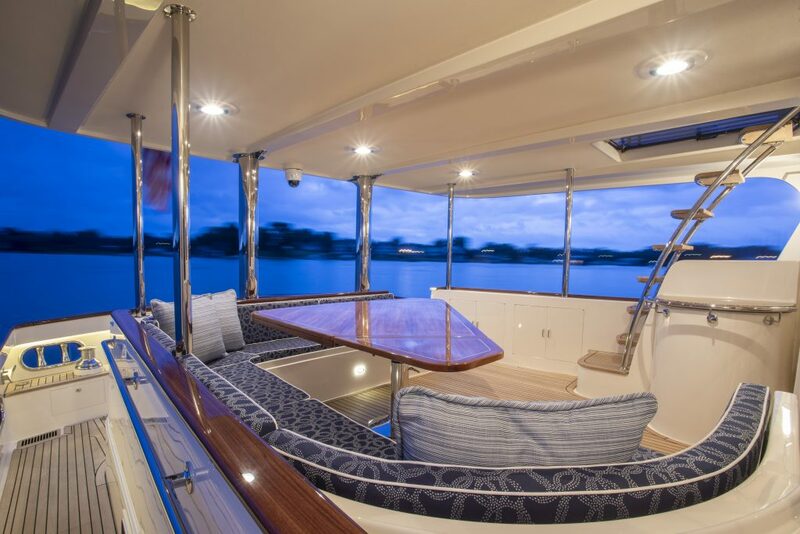 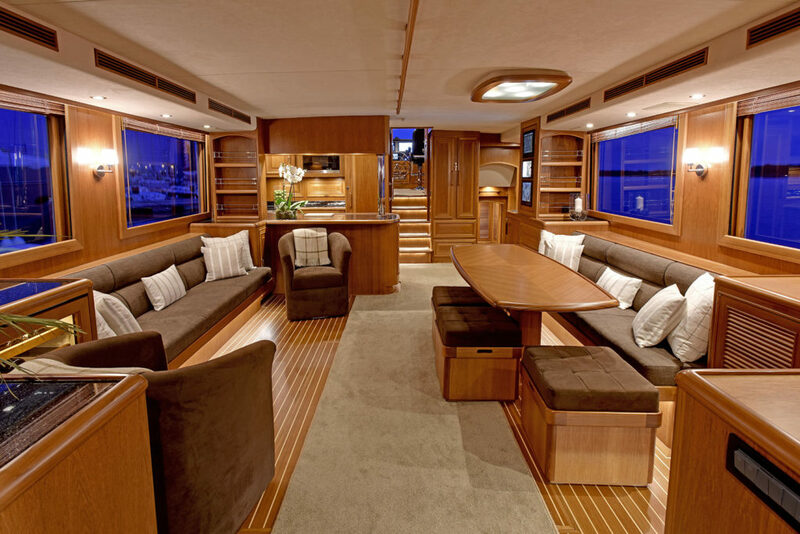 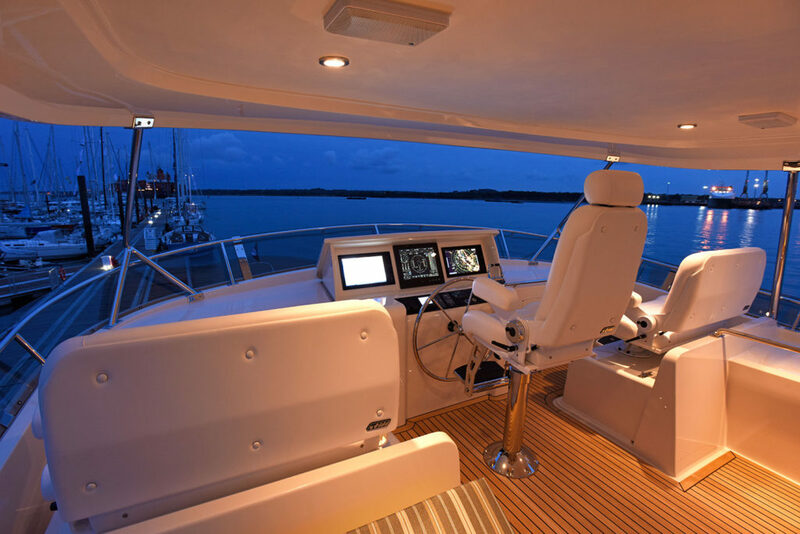 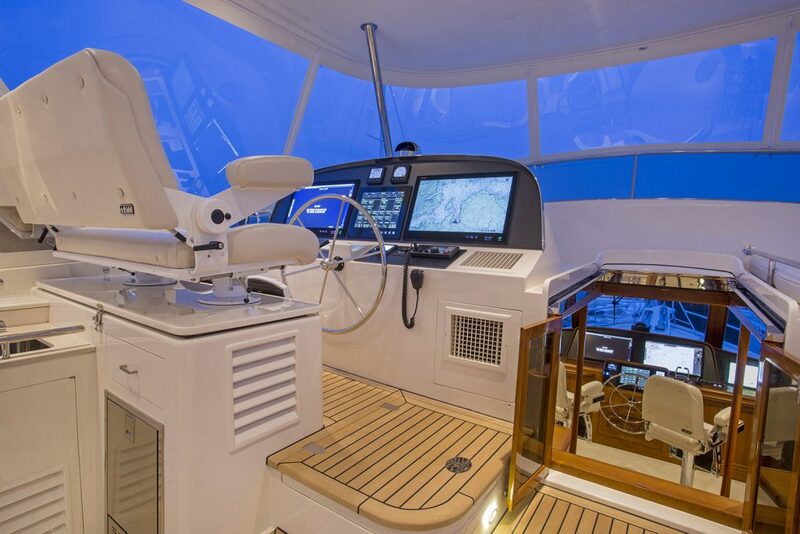 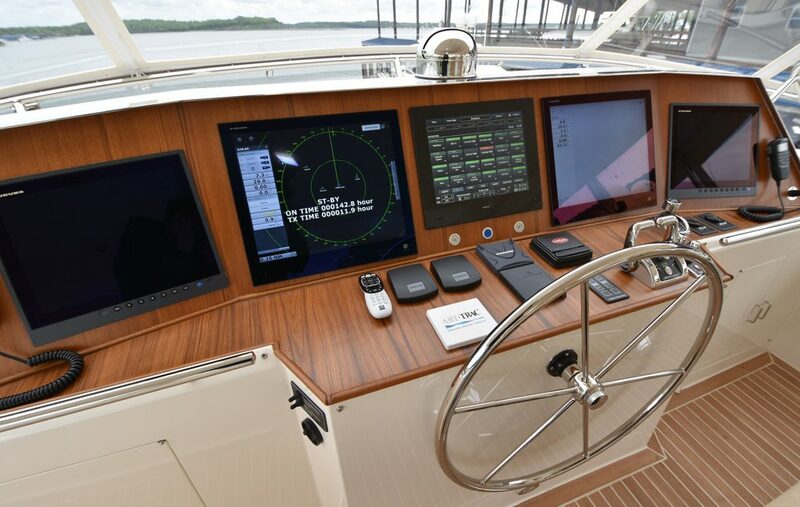 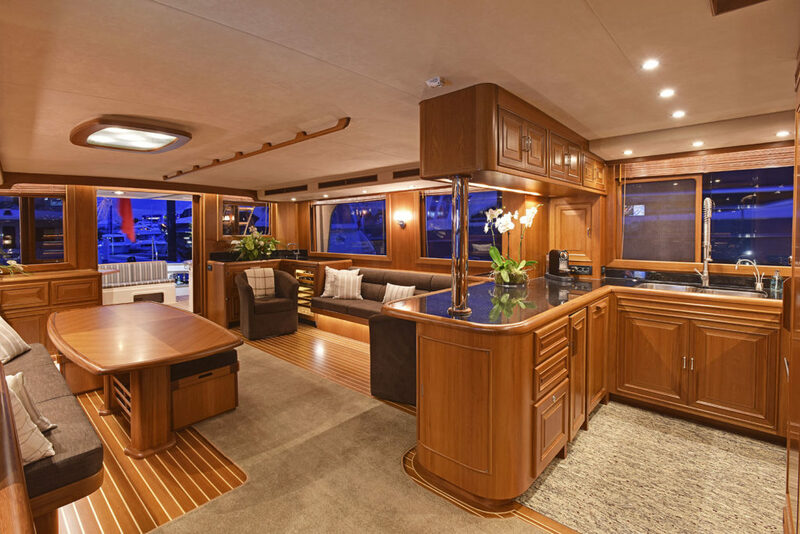 The pilothouse accommodates twin Stidd chairs at the helm, a settee with a spacious table and a day head. 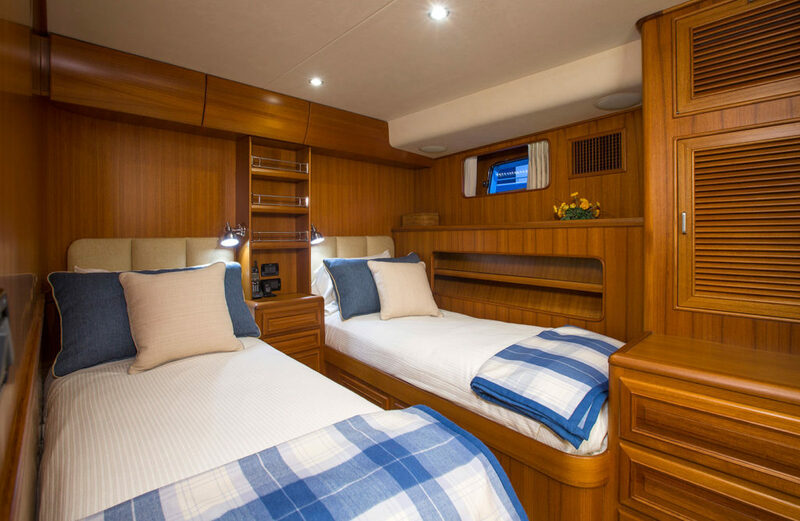 The Fleming 78 is offered in two different models; the Traditional and the Classic. 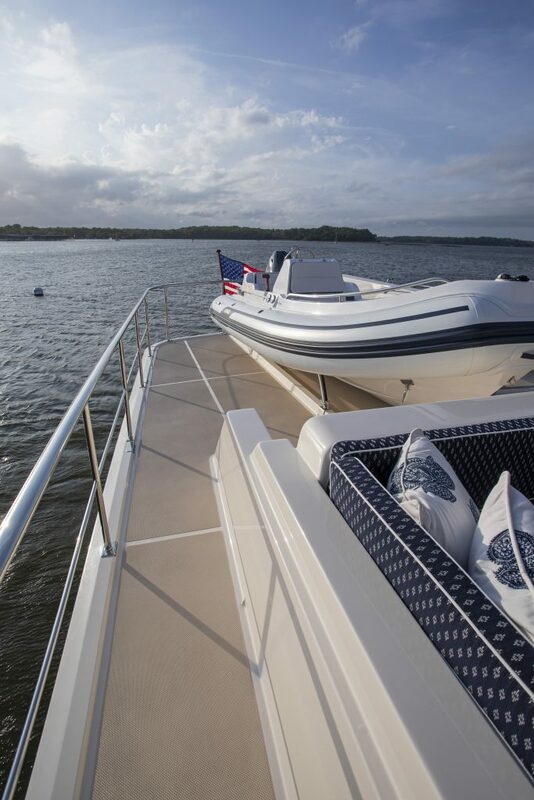 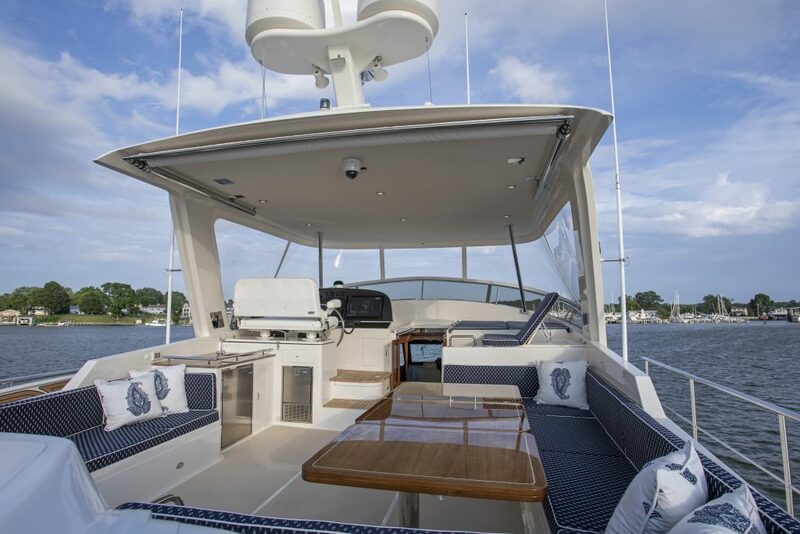 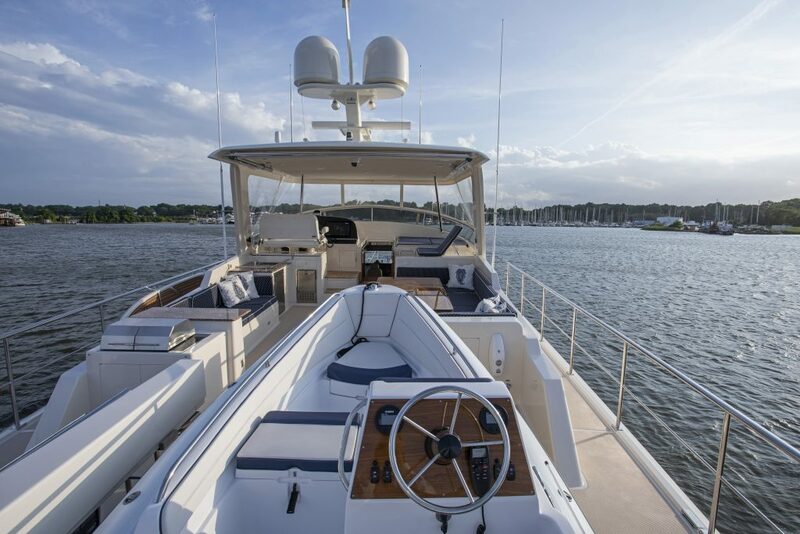 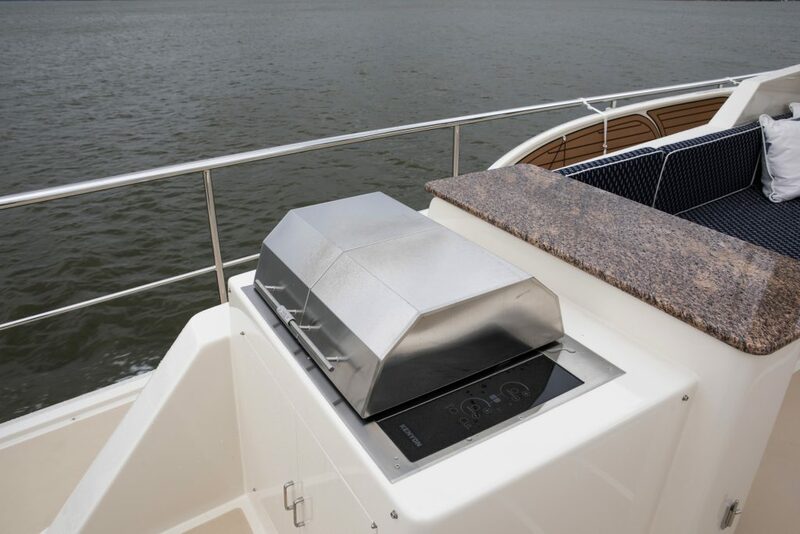 On the 78 Traditional, the covered, two-tiered flybridge boasts seating on either side of the helm chair on its upper level, and seating for both dining and relaxing, wet bar, refrigeration with an icemaker, and a grill on its lower level. Meanwhile, the 78 Classic incorporates the single-level flybridge design similar to that found on the other Fleming models. 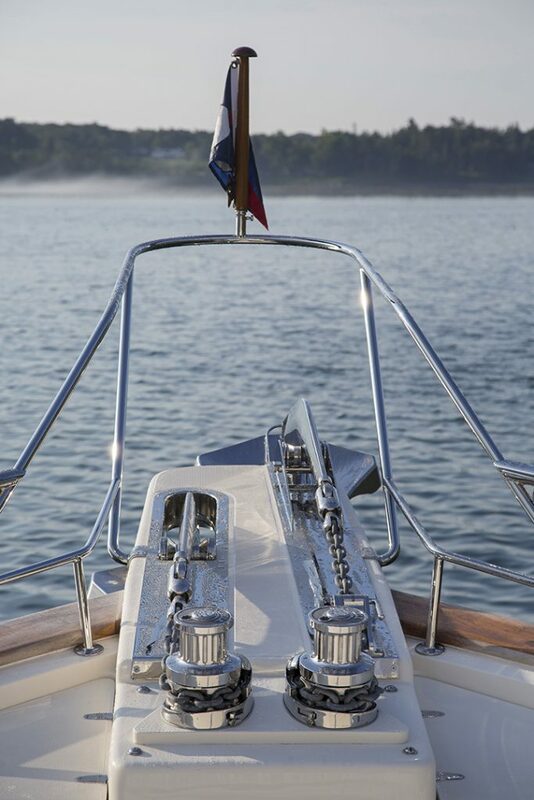 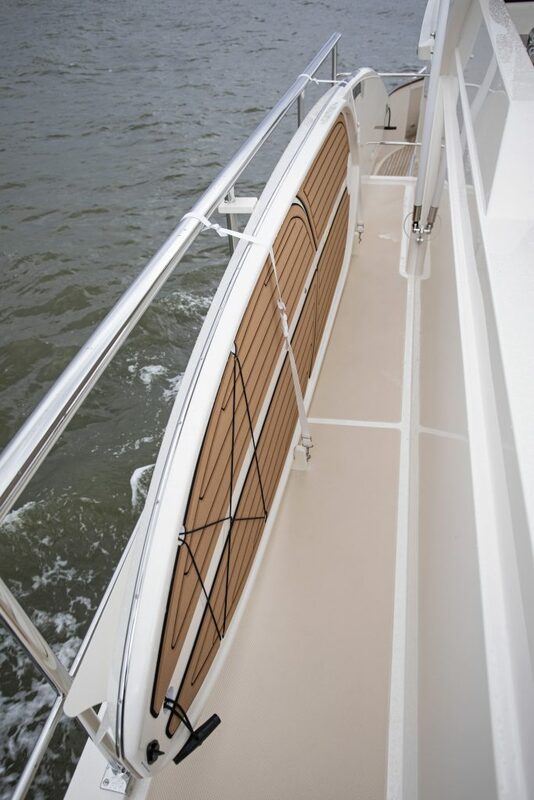 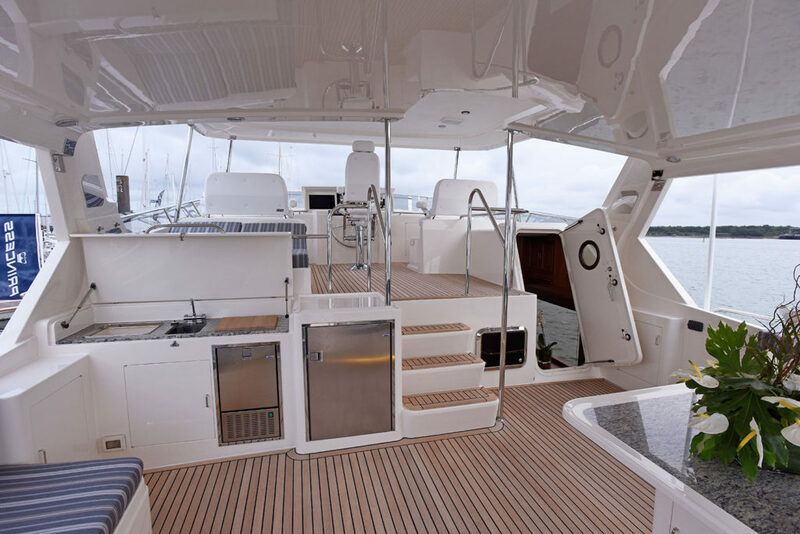 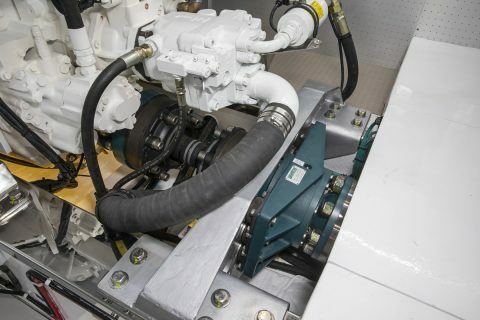 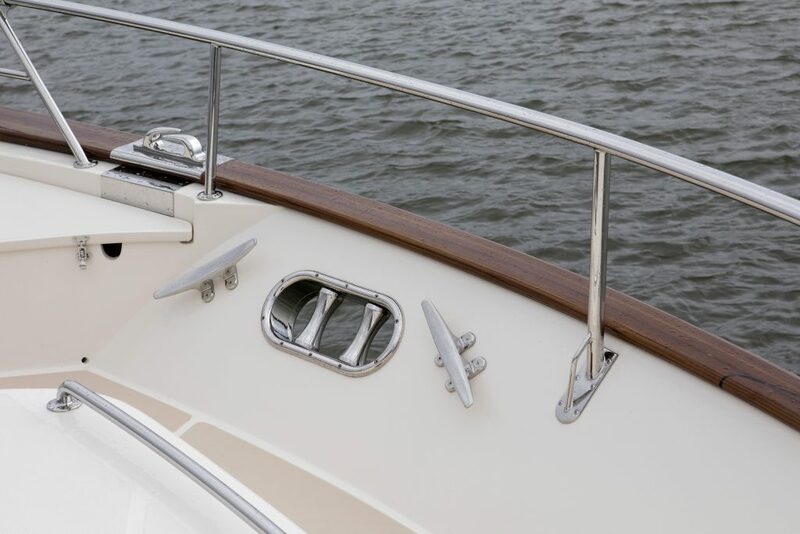 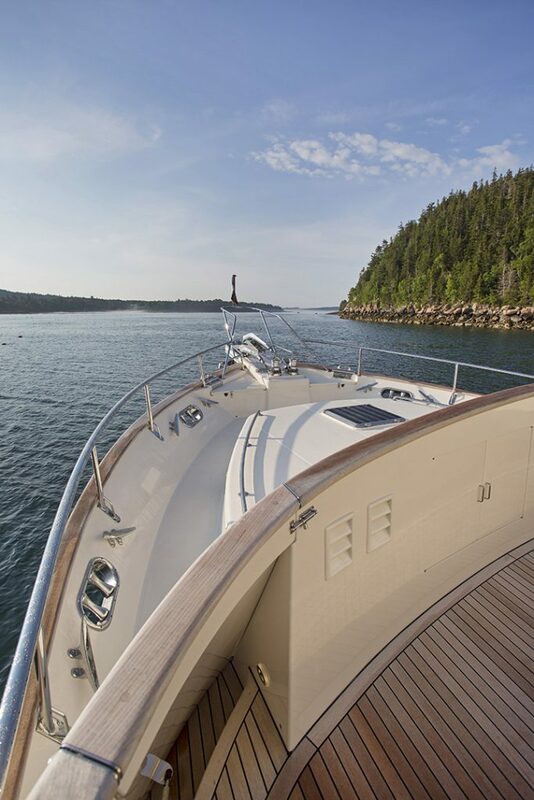 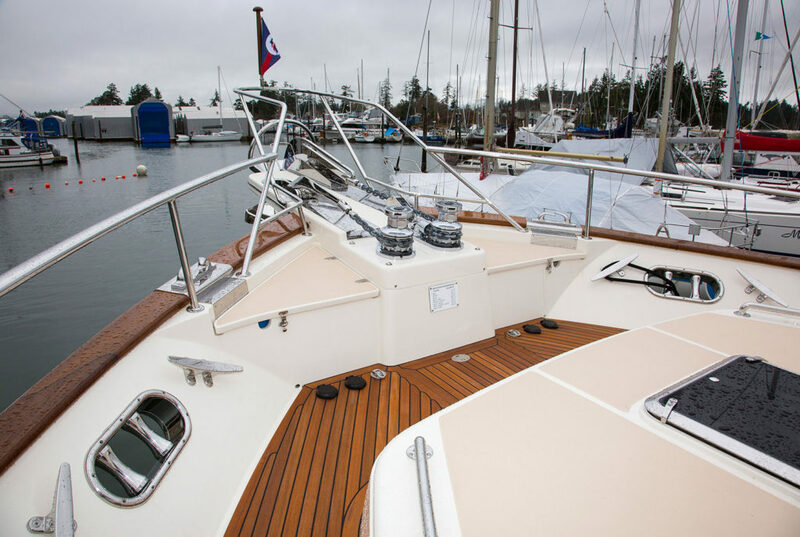 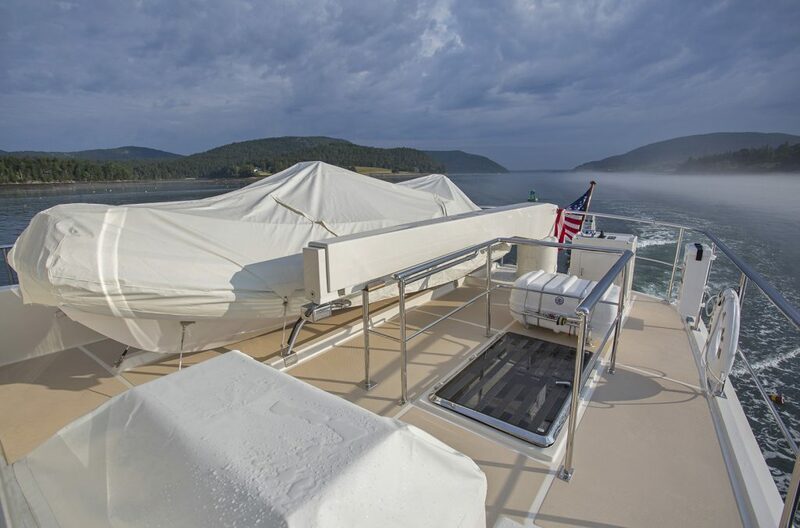 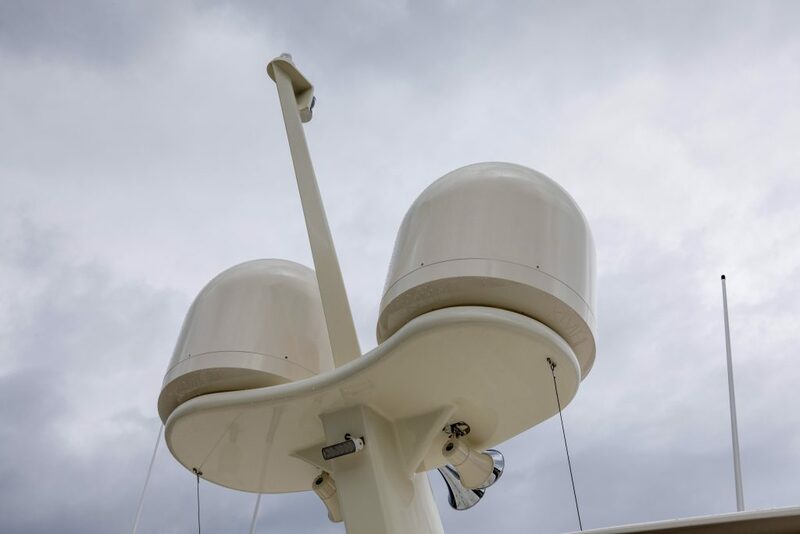 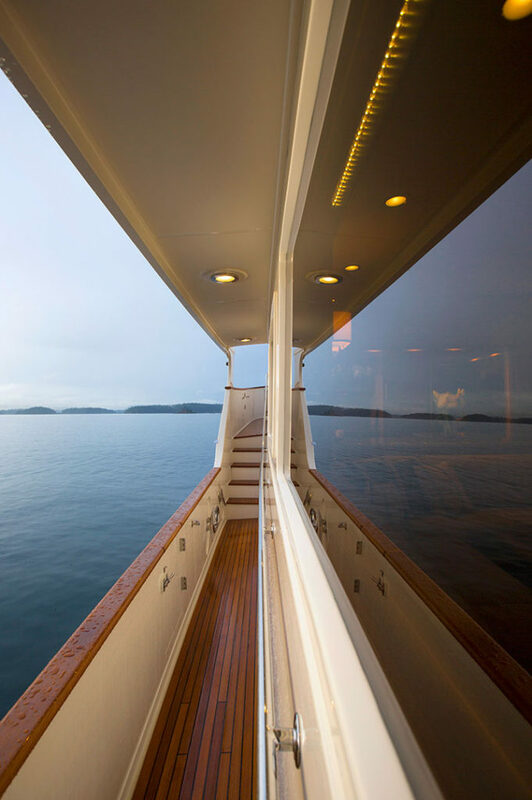 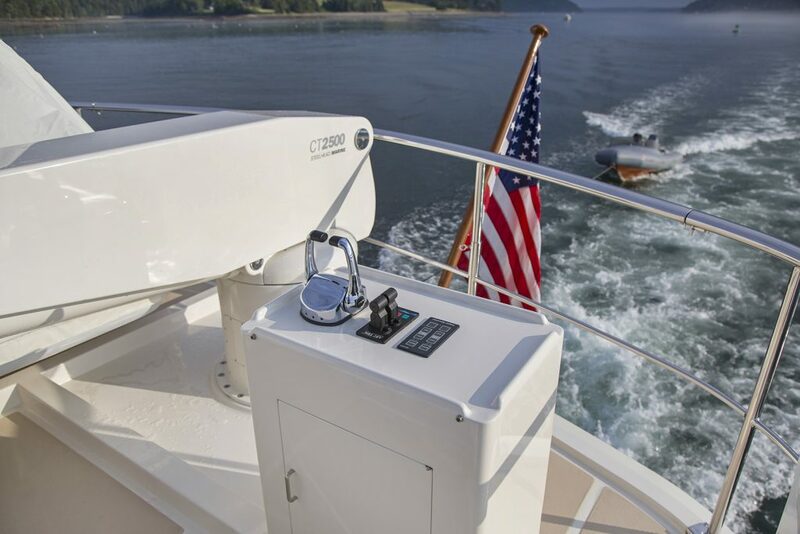 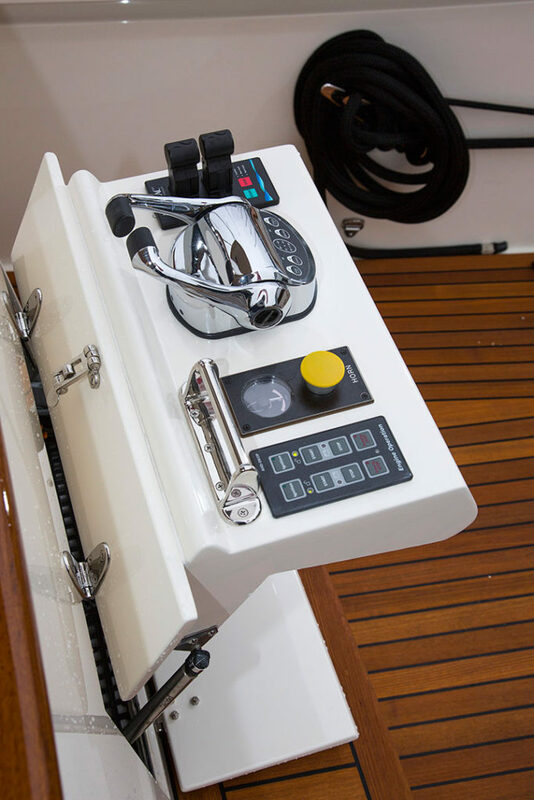 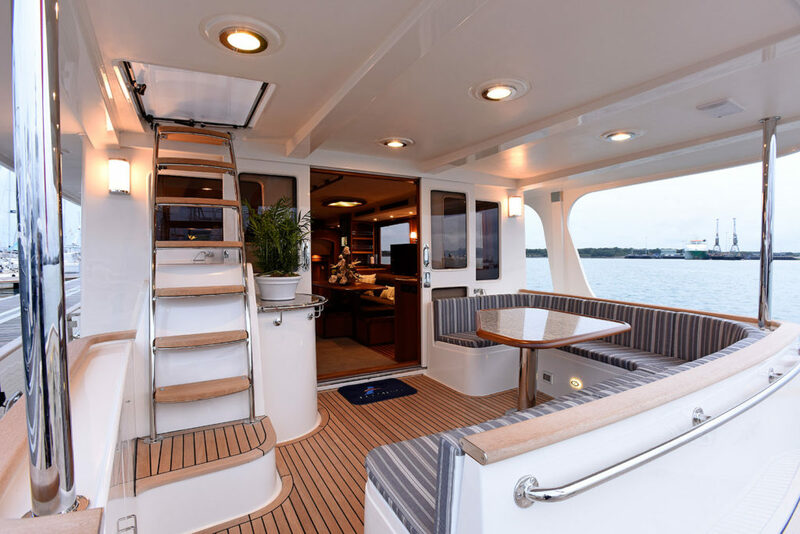 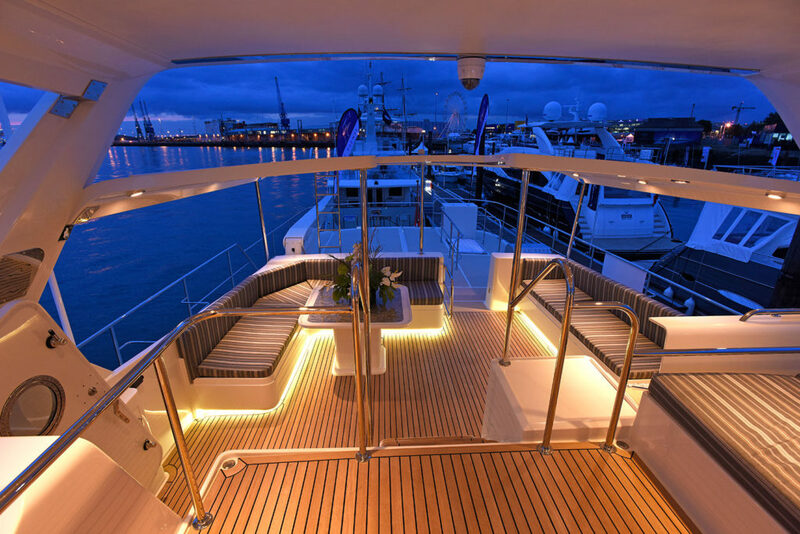 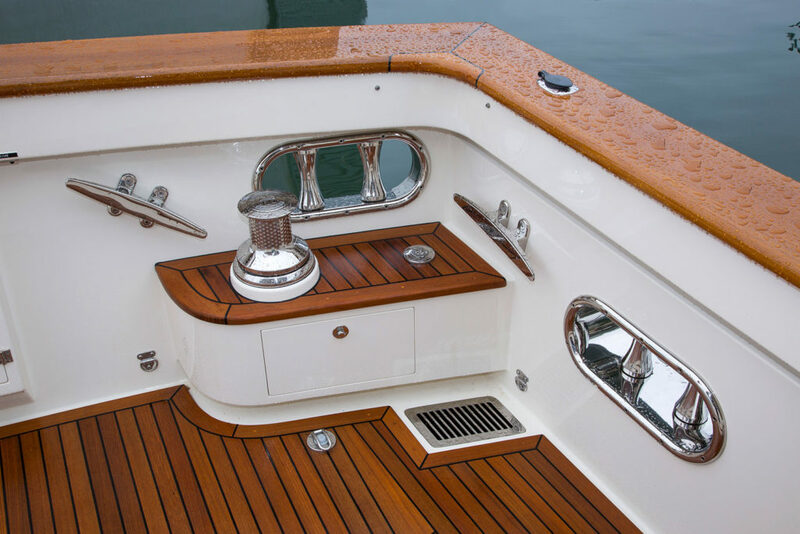 In addition to keeping a lower profile, this flybridge layout allows a central davit for use on either side of the vessel. 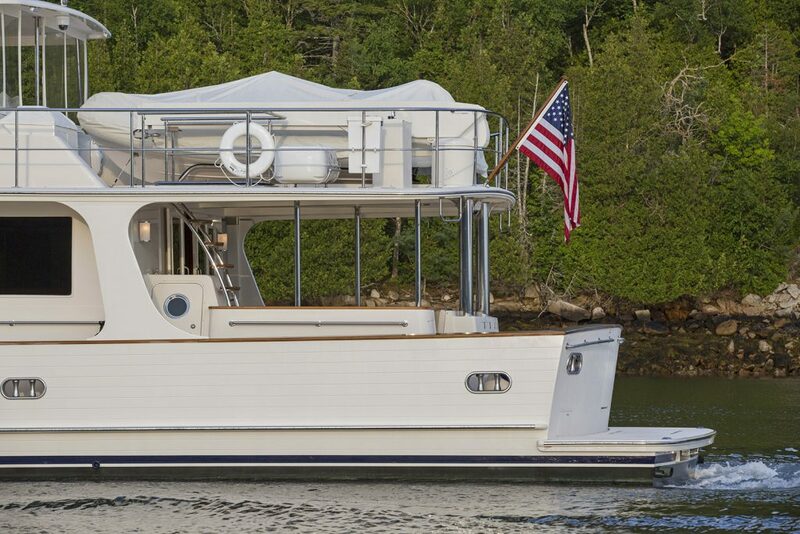 Each of the Fleming models are renowned for both their stability and notable lack of noise while cruising. 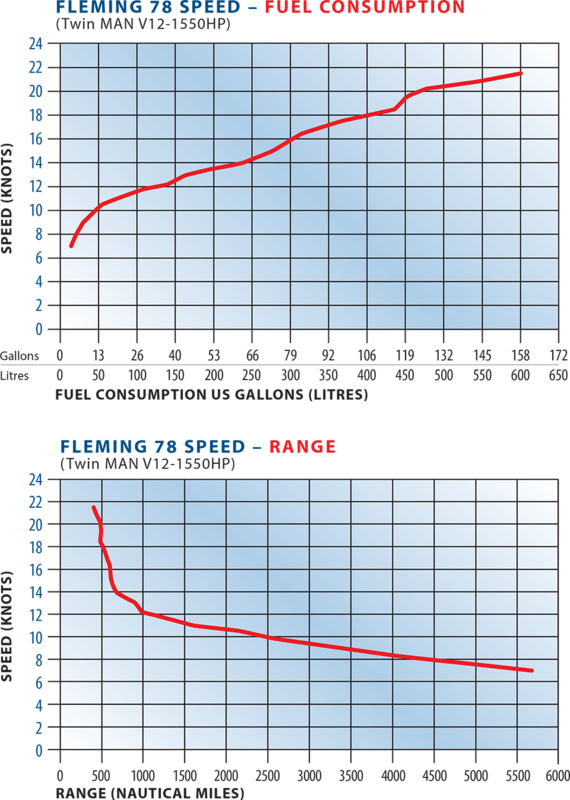 This is especially true of the 78. 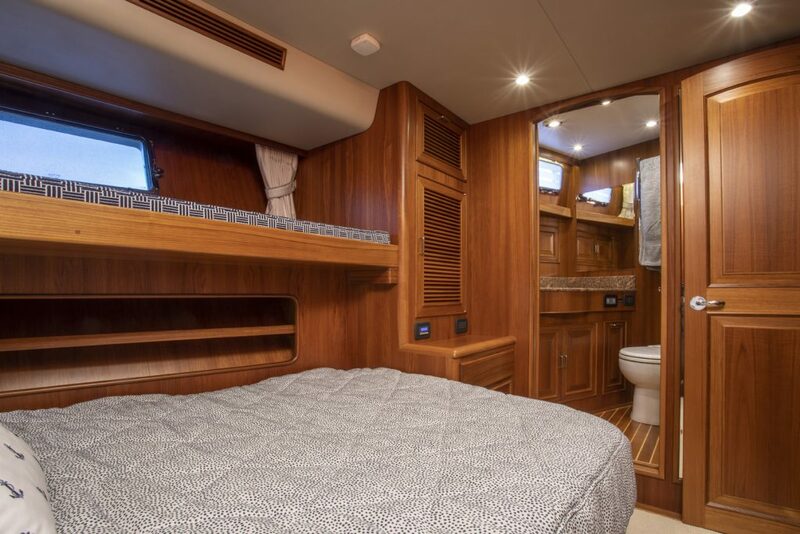 You can chat without shouting, sleep underway, cook, eat, and wash up all without lurching about. This is truly the ultimate Fleming and a product of an obsessive design team. 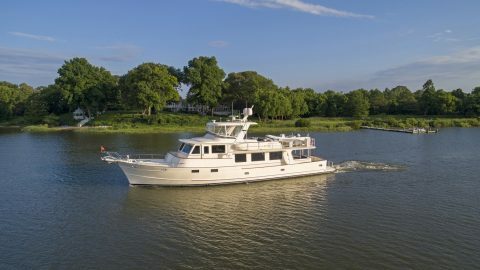 Like the others in the Fleming line-up, this is a boat where cruising from point A to point B can be attractive in itself, not just a means to an end.